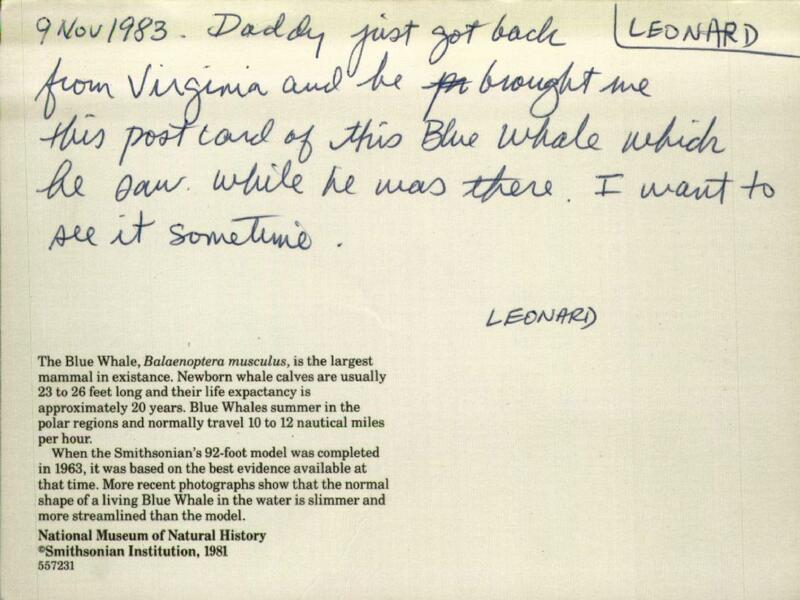 (LEONARD) Daddy just got back from Virginia and he brought me this postcard of this Blue Whale which he saw while he was there. I want to see it sometime. The Blue Whale, Balaenoptera musculus, is the largest mammal in existance. Newborn whale calbes are usually 23 to 26 feet long and their life expectancy is approximately 20 years. Blue Whales summer in the polar regions and normally travel 10 to 12 nautical miles per hour. 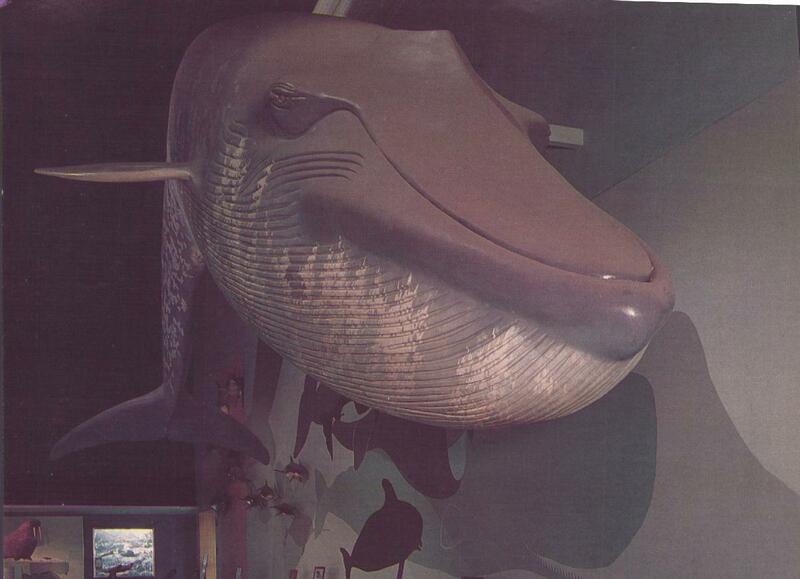 When the Smithsonian's 92-foot model was completed in 1963, it was based on the best evidence available at that time. More recent photographs show that the normal shape of a living Blue Whale in the water is slimmer and more streamlined than the model.